Where Your Money Goes - Educate! In its 25 years of existence, EdUCate! 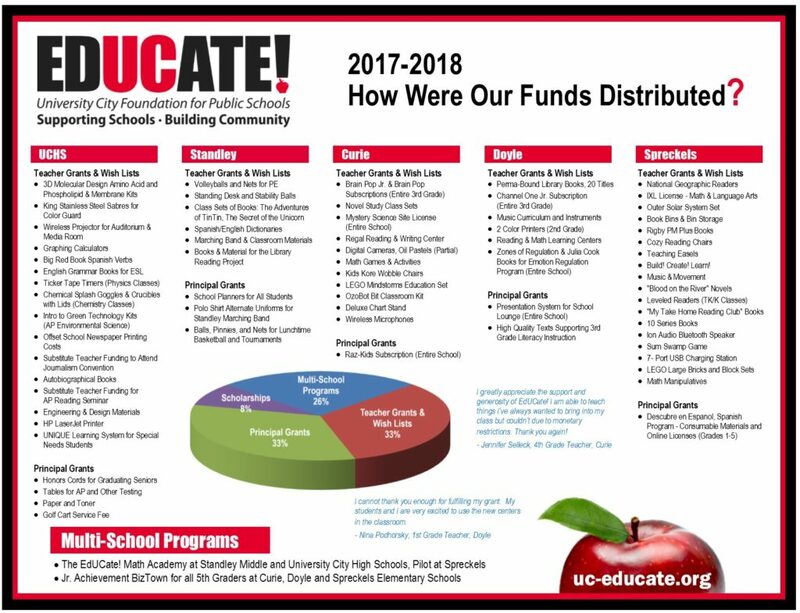 University City Foundation for Public Schools has distributed over $1,800,000 to the five University City public schools. The money as been raised primarily through the many events and programs EdUCate! offers.